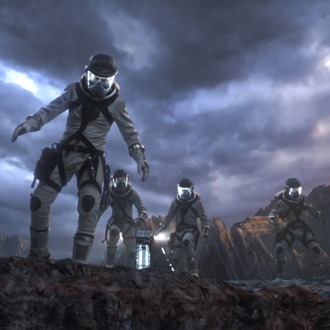 The Fantastic Four reboot has instantaneously emerged as one of those monumental flops that Hollywood will gossip about for years. It opened with a whirlwind of bad buzz surrounding it, but even before it ultimately underperformed at the box office, the film’s own stars were bashing the film in private. According to The Hollywood Reporter, before Josh Trank bragged about having a “fantastic version” we’ll probably never see in a since-deleted tweet, the director sent an email to members of the cast and crew days before the film’s release, calling the final product “better than 99 percent of the comic-book movies ever made.” Here’s how one star reportedly replied: “I don’t think so.” While we can’t be sure which “dickish” star served that expert diss, it appears he or she has every right to be angry. Though sources agree that most fingers should point to Trank for the film’s shortcomings, they note that Fox shouldn’t get off scot-free either. “[Fantastic Four was] ill-conceived, made for the wrong reasons, and there was no vision behind the property,” says one source. “Say what you will about Marvel but they have a vision.” Perhaps anticipating this war of words to head to court, Trank has reportedly hired lawyer Marty Singer (whom the New York Times once called “guard dog to the stars”) to support him through this mess.